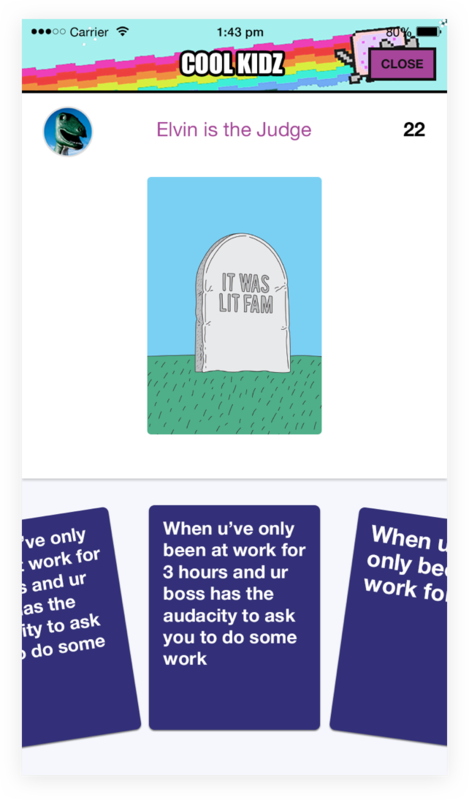 Originally a millennial card game created by @fuckjerry, I worked together with the @fuckjerry team to bring ‘What Do You Meme?’ to life digitally as a native iOS game. WDYM? 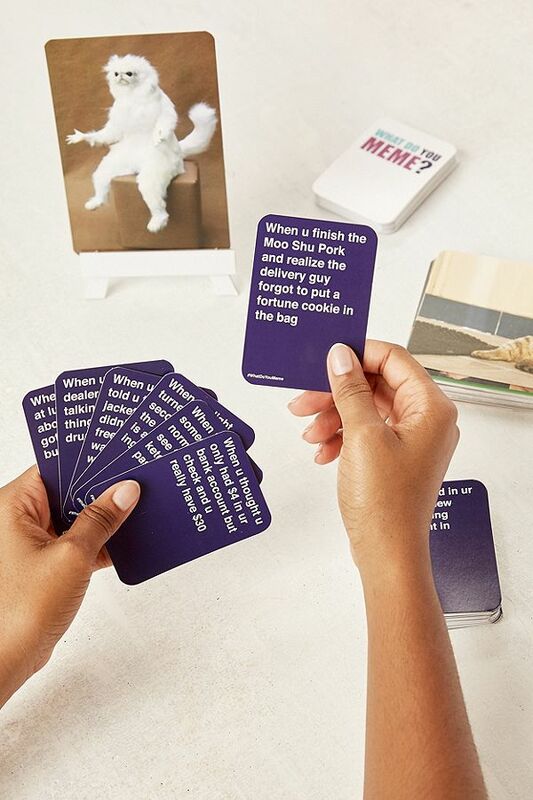 is Cards Against Humanity meets internet humor. In this game, friends and families combine captions and images to create the funniest memes. 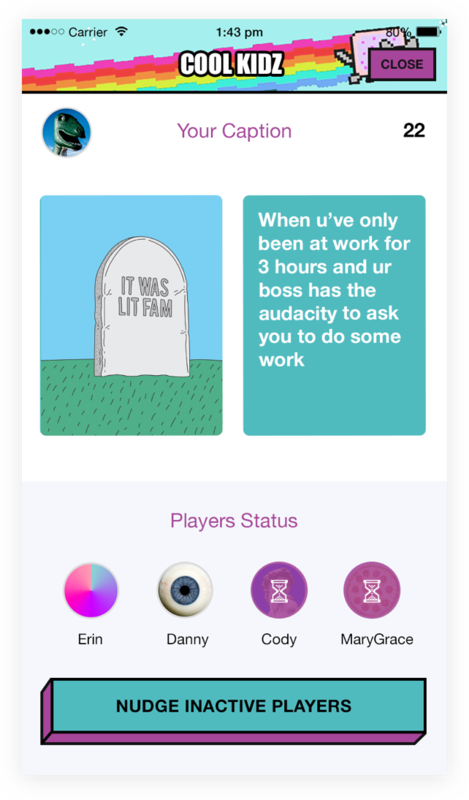 Originally a millennial card game created by @fuckjerry, I worked together with the @fuckjerry team to bring ‘What Do You Meme?’ to life digitally as a native iOS game. 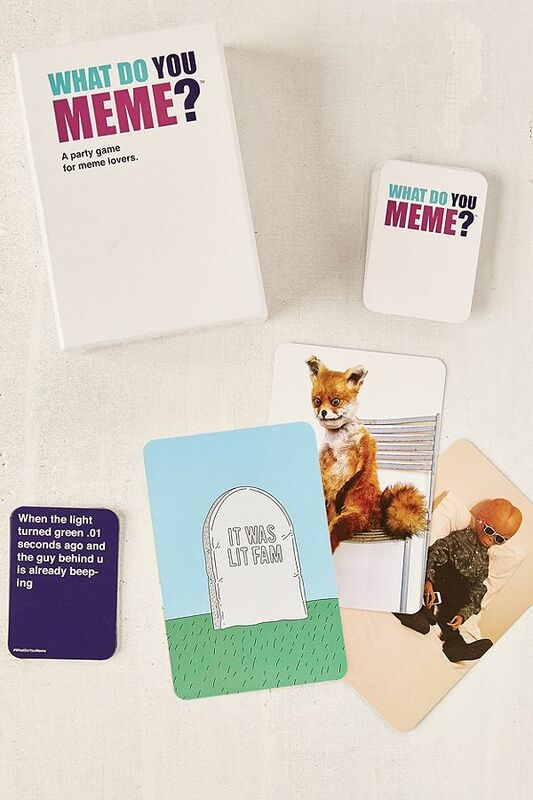 WDYM is Cards Against Humanity meets internet humor. In this game, friends and families combine captions and images to create the funniest memes. 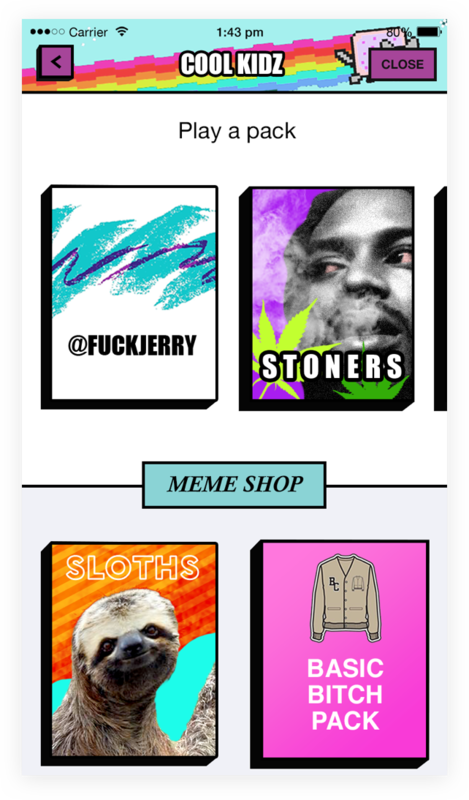 The UI design finds an unconventional balance between the early internet culture of the 90’s .com era and modern clean iOS design standards. 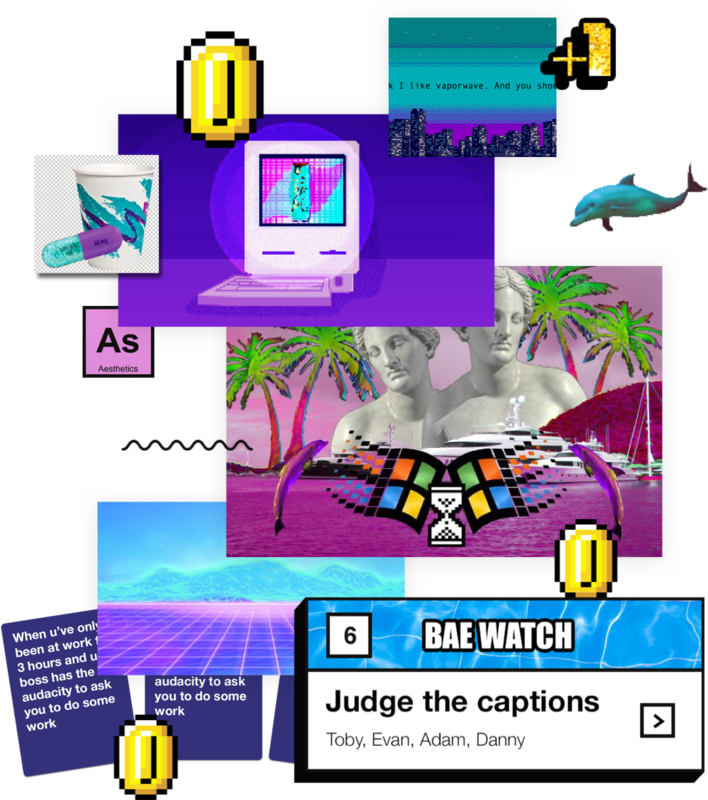 Other large influences were vaporwave and 8 bit super nintendo games. Its appearance is intentionally irregular breaking many rules of the internet. The rules are simple. 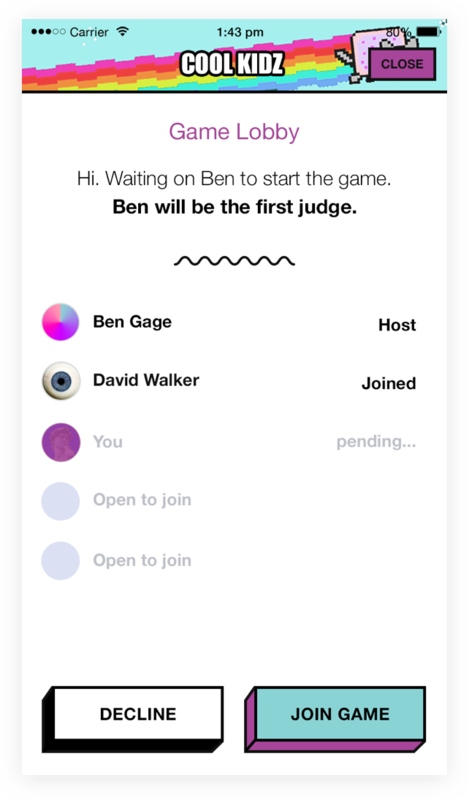 Each round, a rotating judge plays an image card and everyone else plays a caption card to complete a meme. The judge decides the funniest pairing, and whoever played the winning caption card wins the round.